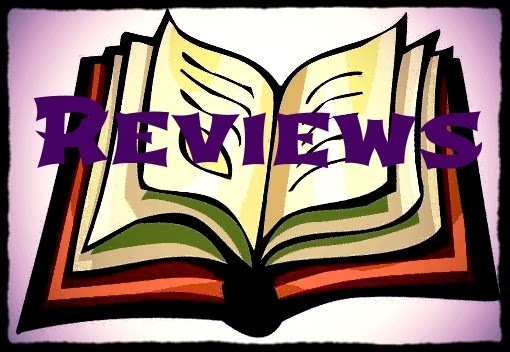 For my first review Donna passed along the opportunity to review Robyn Wyrick’s book Eviction Notice. I love sci-fi/fantasies so I jumped right on reading it. 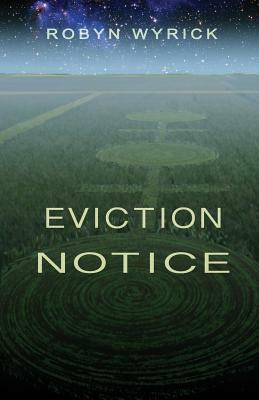 Eviction Notice is a story of crop circles, mistaken identity, alien invasion, alien abduction, with focus centered around the exchange of a Fairy between groups of aliens to create peace . Teens play a senior prank by creating a crop circle in an Iowa cornfield which turns out to be a beacon for a space trader package delivery. The package, a vital part in a peace treaty, goes missing and it is a race to see if the package will be retrieved and delivered to the right people/aliens or will every life form on earth be jettisoned into space as collateral for broken contract. The beginning of the book was a bit choppy and hard to read. The story was there but the sentences would stop short causing my brain to stumble. The simple sentence structure slowed my ability to immerse myself in the world, and the use of ironic description in the dialog didn't quite work the way the author may have expected it to. I had high hopes for the idea of the book and I’m so glad that I didn’t give up faith. This book is sort of like a snowball rolling down a mountainside picking up mass as it tumbles down the cliffside. Alice, the main female character brings you along in her journey that starts with her having no hope, struggling to make a life ending decision and as the story progresses the reader will genuinely grow to love and cheer for her as she picks up the role of liaison for living things on Earth and fights to save billions of lives. That is quite a large character growth when she began not wanting to fight for her own life. Carl and Scrap - two misfit alien crew members of the space trader’s ship, remind me of Abbott & Costello in a way. They bicker and bumble through their plotline. Carl plays the straight man of the comedy pair and Scrap plays the foil. There is a scene in particular that comes to mind where Scrap is attempting to erase two of the teens’ alien abduction memories and Scrap shoots himself with an alien gun. It makes him hallucinate that there are flies buzzing around him while he is putting together the memory erasing device. At the same time he is spouting a soliloquy about the pecking order of his current job and his dreams of being “the big boss.” The best is that we witness the whole scene from the perspective of the trapped humans who show a wide range of emotions over the appearance and ability of Scrap to do his job while in the throes of whatever the gun has done to him. This book is squarely based in Science Fiction/Fantasy with a recurring idea that below average people can make an impact on a large scale. First with the teens’ crop circle prank, then with the space traders’ trying to capture the Glen Fairy, and also with Alice as I previously mentioned. “Clayton could see he must have made a real blunder. While Alice panted and strained her brain, he reflected. This sometimes happened on new planets. He must have overlooked some local custom. With all the hurry to get the Zorgon Peace Treaty signed, the Council simply had not given Clayton adequate time to study the local customs. Maybe men in this culture cover their eyes when speaking to women. Or perhaps he needed to cover his head, or maybe his head and his eyes. That was probably it. He placed on hand on his head and the other over his eyes.” From page 61 of my e-book. Picture the image of Inspector Clayton with a hand on his head and one over his eyes standing next to Inspector Tyler who had four arms, white fur, and a huge mouth with razor sharp teeth. I’m giggling again as I type this. “The computer explained that the car was found to be defective when the ship attempted to correct its inefficiencies. That the repairing filaments had permeated every part of the Malibu and proceeded to make millions of corrections in functionality, performance, aerodynamics, propulsion, safety, and system intelligence. The computer, which called itself Barni, a Barely Adequate Rudimentary Navigational Intelligence, explained that the car could be steered by the steering wheel, and speed up and slow down using the normal pedals, but it now had a basic anti-gravity drive - hence not falling to death - and micro-cellular insulation in the hull - hence the not freezing to death.” From pages 211-212 of my e-book. Overall this book reminded me of Douglas Adams's Hitchhiker’s Guide to the Galaxy with quirky characters, aliens & human interactions, space travel, and the tongue in cheek humor. Alice and Arthur Dent could be distant relatives, Aloon Zigilbraxis and Zaphod Beeblebrox could be fellow space traders who drink together, and the invading Zorgons and the Galactic Councilwoman Fry much like the bureaucratic Vogons. I would love to see a spin off adventure featuring Alice with Inspector Clayton and Tyler maybe in the Chevy Malibu exploring space or maybe even stories with the other characters as well. I hope you will pick this book up and enjoy it as much as I did. A free ebook was provided for this review. Girl Who Reads is an Amazon advertising affiliate; a small commission is earned when purchases are made at Amazon through the above link. Thank you for supporting this blog.